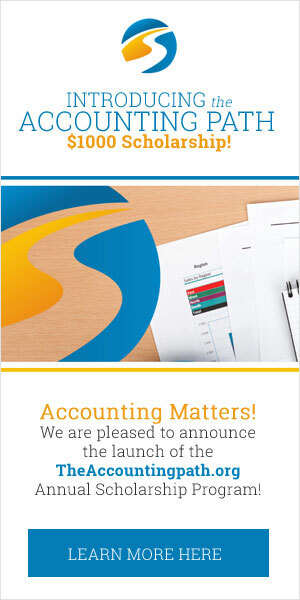 Online Accounting Degree or In-Person Classes? Should you take an online accounting degree? A key question most accounting students ask is whether to take an accounting degree online or in-person classes with a live professor. There’s pros and cons to either and the team here at The Accounting Path have personal experience with both styles. We’re here to break it down for you and make your journey to an accounting degree the best it can be. Control over your schedule – So you’re busy, right? We know. Online accounting classes give you more control over your timetable, allowing you to work when and where it suits you. Ability to work anywhere – Let’s say you live in a town with few good schools but want to get a top notch education. Online accounting classes are for you. By learning remotely you can work with world-class professors without ever leaving the comfort of your home. Stay close to family and friends and get the best education possible for your situation. Often lower cost – Schools that offer 100% online accounting degrees can remove a lot of cost from their operations by not having physical classrooms. If you’re looking for a cost-effective accounting degree, this may help you find something that’s in your budget. Your classmates – One of the most valuable things to come out of any education is the connections you make, and the network you build. The best connections are made in-person, from listening to your classmates ask questions to grabbing a coffee with them during a study session. Having an in-person accounting class will help you make connections that will serve you well in your future accounting career. Now that you’ve heard the pros and cons of online vs in-person accounting, jump over to our college search section to find the right school for you!